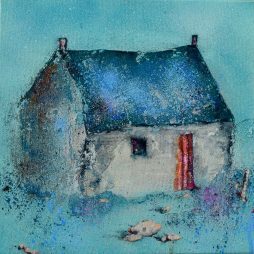 Helen Acklam is an artist living in SW Scotland after a previous career as an Occupational Therapist. 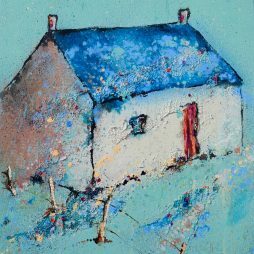 She graduated with a Foundation Degree in Drawing from the University of Cumbria in 2012. 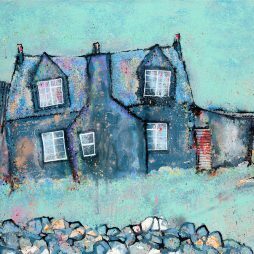 Inspired by the Scottish islands she uses a variety of media to convey her interest in the natural and man-made landscape. 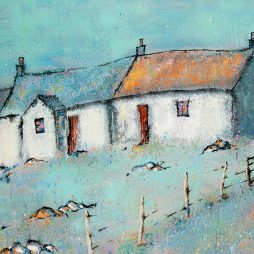 The cottages, bothies and shielings on the Isle of Lewis, Outer Hebrides inspire this current series of work. 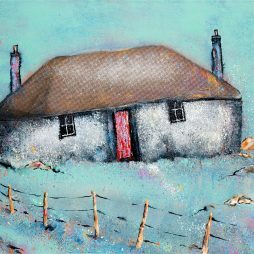 Many lie derelict yet were once home to previous generations of islanders. 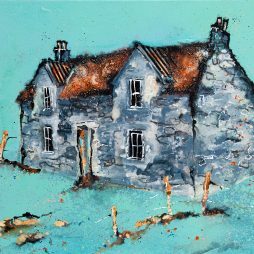 This work was developed using texture: sand from Luskentyre beach adds to the sense of place along with acrylic paint and ink, gouache and pencil breathing new life into these often deserted and derelict places. 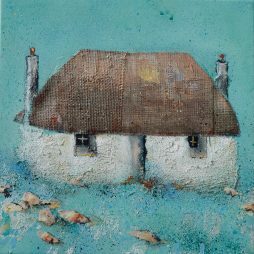 Collage is used using an old religious book to symbolise the religious observance on the isles alongside handmade paper and corrugated cardboard. 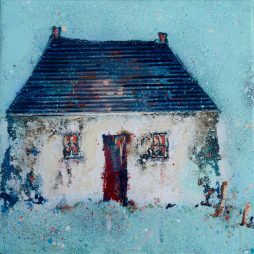 Each piece is entitled with a place name from the isles.